Elephants are smart animals often put in danger because of their large ivory tusks. Left alone, however, these amazing creatures can live for more than 80 years! 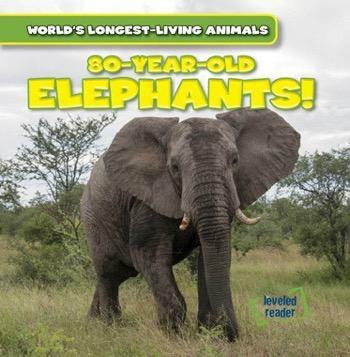 Through innovative graphics and colorful photographs bringing the lives of these stunning animals into sharp focus, readers explore the differences between Asian and African elephants, their diets, and how they live their lives in different parts of the world.